Following the Woodchute Mountain ridgeline, this hike is loaded with insanely good red rock views. 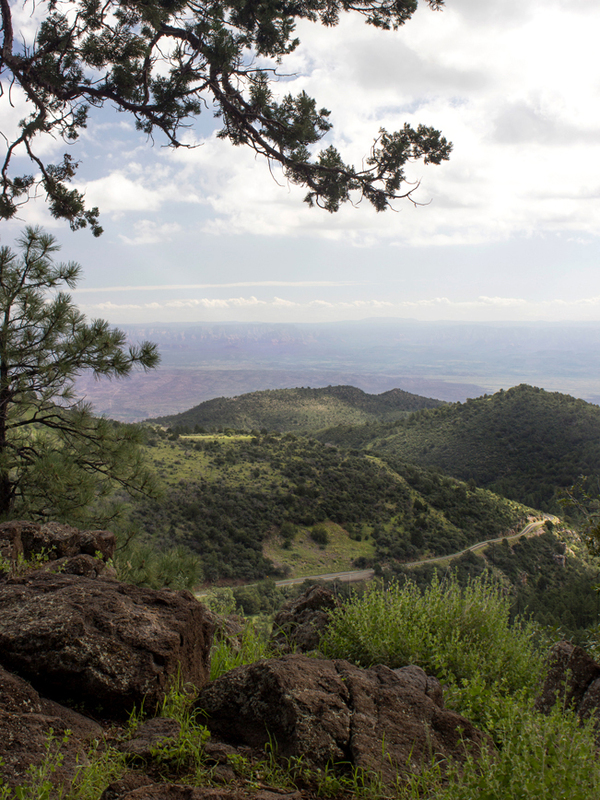 Bonus views of the Chino Valley and Prescott Mountains are also sprinkled all along the trail. Pretty sweet for a mostly-easy hike! 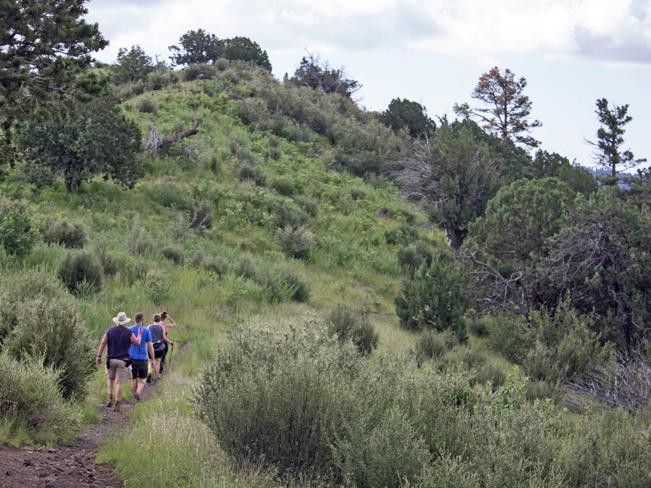 Kicking off near the top of Woodchute Mountain, this hiking trail serves up the kinda’ views typically found only after a challenging ascent. 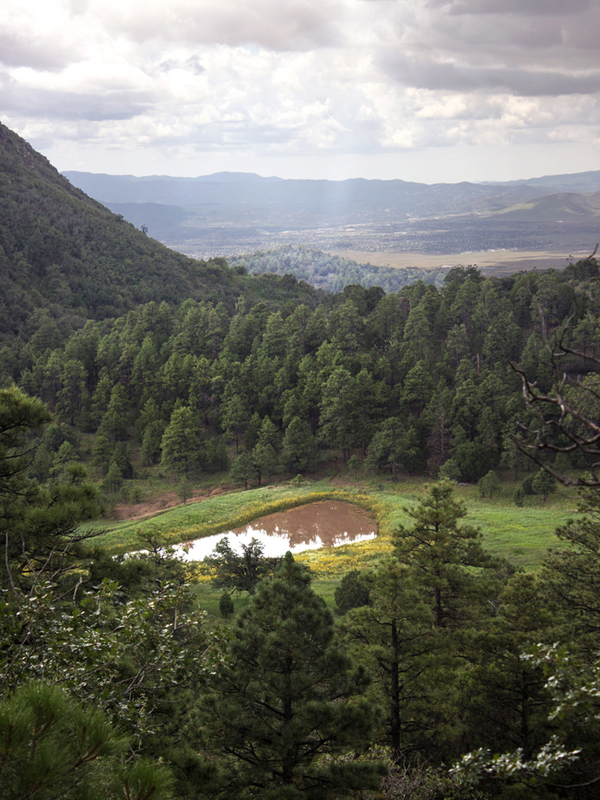 After just a half-mile of easy hiking, there are stunning views of Mingus Mountain, with 89A gracefully winding through its hills. A couple of short, mild ascents, lead to a level trail that skims the mountain’s high ridgeline. 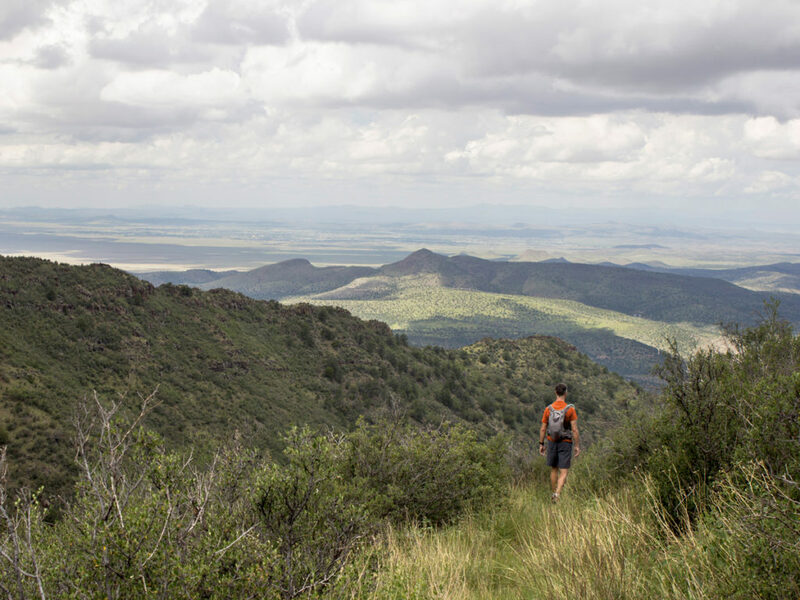 For the next 1.5 miles, long views over the Chino Valley, Prescott Mountains and Sedona red rocks roll out on either side. After 2- miles of hiking, the trail makes a gentle descent and enters a blissfully shaded area. Here, it officially enters the Woodchute Wilderness Area. Beside the trail, a meadow-lined cattle tank reflects trees and sky. Next, a few switchbacks lead up to a mountain plateau. This modestly-steep half-mile, is the hardest part of the overlook hike. At the top, the trail flattens out again, meandering between shady Pines. At 3.25 miles, a well-worn side trail veers right and heads to the overlook. 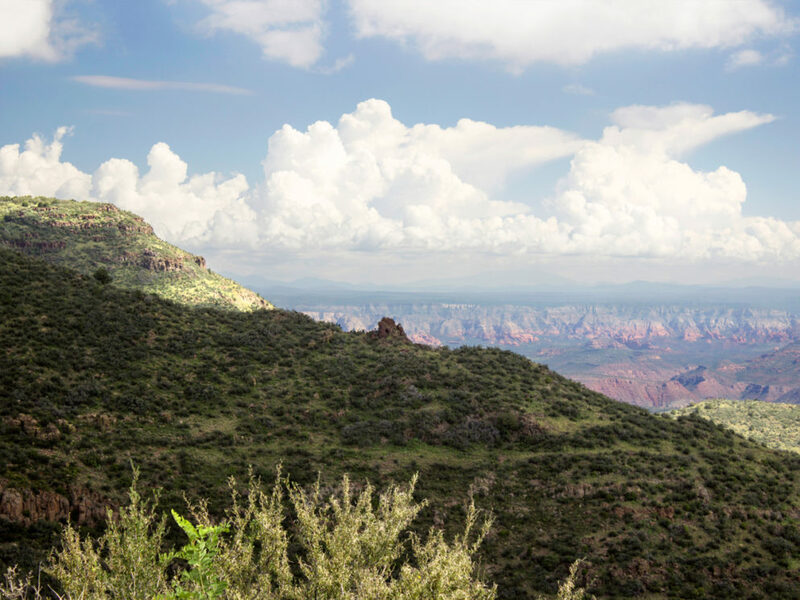 Standing on the rim, awesome views of Jerome, the Sedona red rocks and Mount Humphreys fill the horizon. Turn back here to complete the overlook hike. Or, for those looking for an added challenge, continue on the Woodchute Hiking Trail for another 3.75 miles. This steep, less defined, section descends 2,000′, on numerous switchbacks, to the trail’s ends at Forest Road 318A. 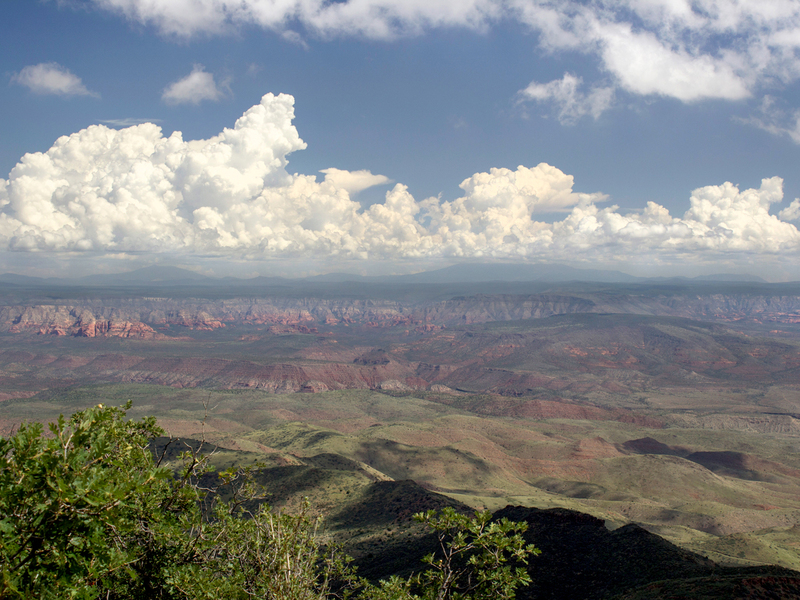 There are stunning views of the Chino Valley in this section too. Loggers cut Pine from this mountain and used it to reinforce the mining tunnels in Jerome. The logs were sent down a chute on the mountain’s north side, to a small railroad that carried them to the mines. And, voila, Woodchute Mountain was named. Directions From the intersection of I-17 and AZ-260 (near Camp Verde), turn onto AZ-260, heading north towards Cottonwood. Drive 12.35 miles on AZ-260 to AZ-89A. Turn left / north onto AZ-89A and continue 16.8 miles (passing through Jerome) to Forest Road 106 (on the right, directly across from the Mingus Mountain Summit Rest Area). At FR-106, turn right on and continue for 0.2 miles to FR-106D. Turn left onto FR-106D and drive 0.7 miles (past a turnaround loop and vault toilet) to the trailhead.